Stranco’s RUM Series of adhesive reflective numbers and letters provide high-visibility at night and in adverse environmental conditions. 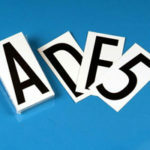 The RUM Series of reflective characters are available in four (4) sizes and two (2) materials. The engineer grade reflective numbers and letters (RUM050, RUM100, RUM200, and RUM300) meet the requirements for Type I reflective sheeting set forth in ASTM D 4946 and have an outdoor life of 7 years and a service range of -40°F to 180°F. 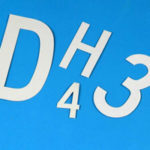 The high intensity grade prismatic reflective numbers and letters (RUM500) meet the requirements for Type III and IV reflective sheeting set forth in ASTM D 4946 and have an outdoor life of 10 years and a service range of -40°F to 180°F. The RUM100, RUM200, RUM300 and RUM500 are produced with reflective yellow characters on a black background. Custom sizes and color combinations are available. 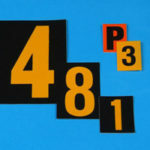 The RUM050 is available with black characters on either a reflective yellow background or a reflective orange background. Custom sizes and color combinations are available. Refer to the illustration and chart below showing each of the standard RUM reflective marker sizes, colors, and part numbers. 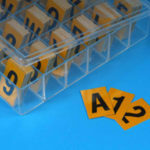 The RUM Series of reflective letters and numbers are available in packs of 25 same-character reflective markers. The RUM markers are also available in convenient kits called Reflective Utility Kits. MARKER SERIES MARKER SIZE CHARACTER HEIGHT MARKERS PER PACKAGE LEGEND YELLOW / BLACK FIELD STOCK NO. BLACK / YELLOW FIELD STOCK NO. BLACK / ORANGE FIELD STOCK NO.